Pasarhosting Review 2019: Is Pasarhosting a Good Hosting? Pasarhosting provides Linux and Windows hosting packages at attractive prices with superior support. 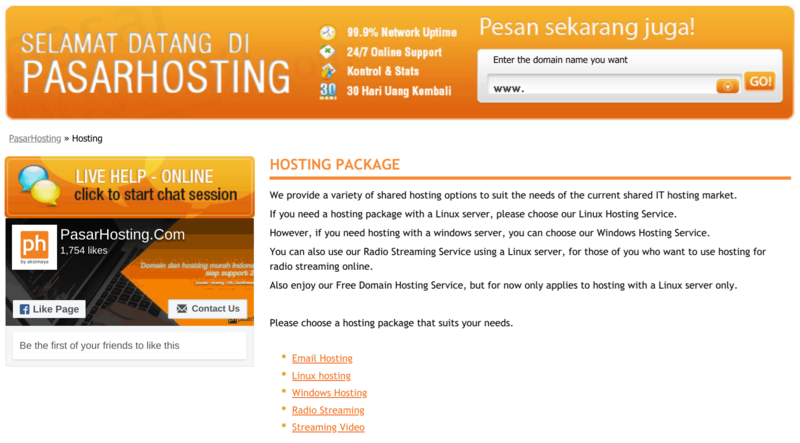 Pasarhosting is the web hosting division of Aksimaya (aka. PT Pusat Media Indonesia), so it is branded “Pasarhosting by Aksimaya.” According to its copyright notice, this hosting brand began its life in 2005. Pasarhosting’s stated mission, unsurprisingly, is to offer affordable web hosting while maximizing quality and providing the best service. Well, they all say that, don’t they? What is more telling is this provider’s commitment to prioritize speed above all else, though it doesn’t do SSD storage as far as I can see. 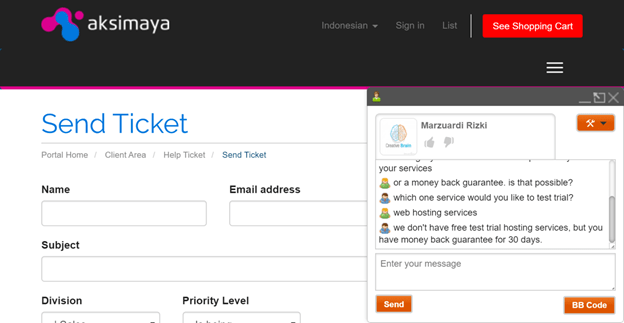 In addition to its home country of Indonesia, Pasarhosting also has servers in the United States and Singapore. Its “old style” website is in Indonesian unless translated by your browser. Pasarhosting provides a comprehensive suite of web hosting services including email hosting, Windows hosting, Linux hosting, radio streaming, and video streaming. The Linux and Windows shared hosting packages are quite different from each other, so I’ll take each one in turn, but first I’ll tell you that you always benefit from 99.9% uptime, 24/7 support, and a 30-day money-back guarantee. The Linux Hosting comprises two packages – Economy and Business – with a choice of server location (Indonesia, Singapore or USA) for each, and three price levels for each. Don’t worry, the combinations are all laid out for you in a handy comparison table. The Economy plans provide 100 MB to 500 MB disk space, 10 GB to 30 GB monthly bandwidth, and 5 to 15 MySQL databases. The Business plans provide 1 GB to 5 GB disk space, unlimited bandwidth, and unlimited MySQL databases. The Windows Hosting comes in two Plesk-powered packages: Plesk Personal and Plesk Corporate. The Personal plans provide 10 MB to 100 MB disk space, 2.5 GB to 15 GB monthly bandwidth, 1 to 10 MySQL databases, and 1 to 3 MSSQL databases. The Corporate plans provide 250 MB to 2500 MB disk space, 25 GB to 250 GB monthly bandwidth, 15 to unlimited MySQL databases, and 3 to unlimited MSSQL databases. Pasarhosting’s prices (in Indonesian rupiah) are some of the cheapest you will find for shared hosting, but as you would expect, the Windows packages cost more than the Linux packages. At the checkout, you can pay extra for a dedicated IP address and additional bandwidth. For the Linux packages, the minimum term ranges from one month to one year (depending on the size of the plan), and you can save 15% on an annual plan when a monthly option is also available. The “get out” afforded by the 30-day money-back guarantee should make you feel better about making an annual commitment. Pasarhosting provides a knowledge base for self-support purposes, but it contains only eight articles. Despite its “old style” website, Pasarhosting is still very much alive and well, providing a wide range of Linux, Windows, and other hosting plans at attractive prices. True to its mission, these appear to be backed by superior support. For super-cheap Linux and Windows hosting with superior support, check out Pasarhosting. Wondering how Pasarhosting stacks up against other Web Hosting companies? Enter any other Web Hosting company and we will give you a side-by-side comparison.